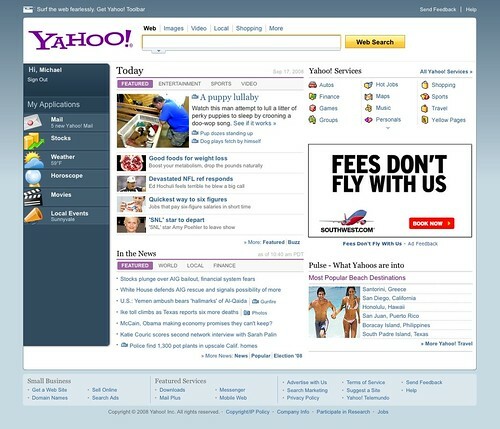 Yahoo!’s testing a new homepage. Looks good. What’s interesting is that they say you’ll be able to check multiple mail accounts including “Yahoo! Mail, AOL Mail and Gmail, with more to come”.